This article constitutes an effort to examine the prospect of long-term refugee radicalization, beyond the dominant “short-sighted” debate on the possibility of radical Islamist militants posing as refugees. The main argument of the article is that refugees are inherently different from second-generation economic migrants, on whom most radicalization models are based. 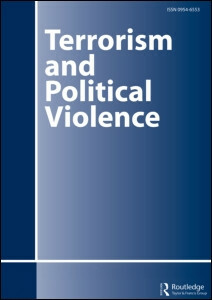 The article proposes a composite model that enriches our understanding of radicalization drivers with insights from refugee militarization studies. The model demonstrates that not only do some radicalization drivers present different dynamics in refugee populations, but that there are also other important factors, such as refugees’ cause of flight or prior political organization, which are absent in traditional radicalization models. Moreover, the article highlights the importance of a host state’s will and capacity to address refugees’ needs and the influence of external actors in policy formulation, particularly in weak or struggling host states. One implication of this study is that early-stage policies largely predetermine future radicalization. Another implication is that the possibility of refugee radicalization is not the same for every refugee population and in every (European) country. Thus, the policies the European Union or specific states adopt should be tailored to the specific needs of each community and state. Next story Treatment of Terrorists: How Does Gender Affect Justice?